I’m not much of a resolutions maker. I generally have grand ideals and fall into a deep depression when I can’t follow through. So, in recent years, I’ve forgone resolutions in favor of choosing an intention or a word for my year and then setting very measurable and attainable goals with action steps. Most often those goals require me to step outside my comfort zone. This year I’ve chosen “profitable” as my word and I’m taking drastic steps outside that line of comfort to make it happen. Last year I hired a creative marketing firm here in Spokane to help me with a business plan, brand and website, which is something I never would have done in the past. Photographing candid, behind-the-scenes moments in the life of businesses is a niche I’ve created from scratch (at least in my area) and I’m totally in love with my new brand, WorkStory Corporate Photography. I’m finally renting an office space, setting a specific dollar amount I need to make this year, breaking down how many shoots I’ll need to do to make it happen and then pounding the pavement and asking for sales. Yikes! Treating my business like a business instead of a hobby is scary but exciting! I often look to other successful professionals for inspiration and motivation to take the leap outside my safe little “editing in my PJ’s corner.” I reached out to a few of my photographer friends who have seen a lot of success after making a drastic change or stepping outside their safe place. They have kindly shared their experience of growth with us. I asked each of them to tell me about a time they tested their creative limits by stepping outside their comfort zone and taking a risk and how it helped them grow as a photographer. “It took me many years to discover how I work best. I really need to fail or be rejected first. It is very rare that I take on something new and not fail or be rejected in the beginning. When I fail, I get unhinged! It pushes me! I am challenged to win. I am going to beat this problem like a tennis match where I am down by points. It is a positive, passionate response. I leap first without much study or knowledge of the situation, I fail, I study hard, I try again and win. So now I embrace failure knowing how I personally operate under these kinds of stresses. I search out for new ways to take risks knowing I will probably fail. This is also true with new techniques I learn in photography. The more I take risks and fail with my compositions, the more I win bigger with unusual and more dynamic images. I see rejections and failures as a positive thing in my life. You should look back and study your image failures from years past. It helps you learn, and with new eyes you may find a winner out of your failures! “I have a passion for history, and the people that came before us — the layers of people and places that inhabit the realm of time. Dorky, I know. But I’m a nerd for this type of thing. 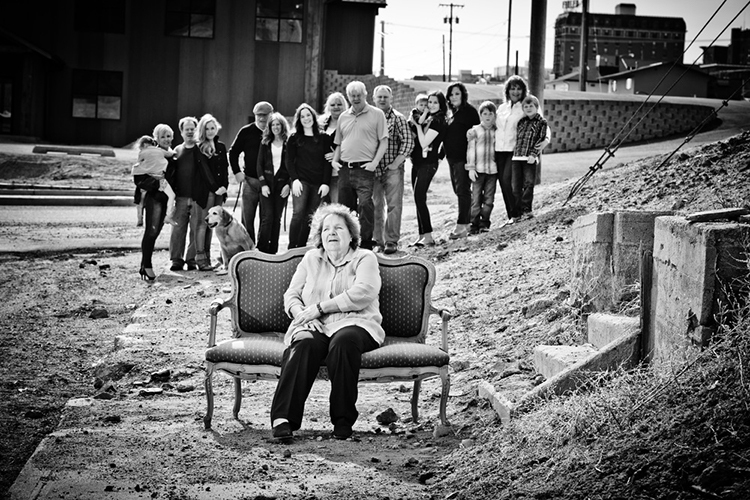 Last year I decided I would take on the challenge of not just photographing a nice portrait, but adding in the concept of the person or people’s family history, their unique story that makes them part of our industrial landscape of Butte, Montana. I also did audio interviews with some of the subjects to add that extra element. The biggest risk was my fear of what other people would think of my “Deep Roots” project. Would they think my idea was stupid, would I hear crickets when I put out a model call, and most importantly, could I actually execute this big lofty goal? “My style really began to evolve and improve when I started pushing my creative limits, regardless of circumstances. Take this Milky Way shot, for example. A lot of elements have to fall into place to pull this off at a real wedding—venue far away from city lights and a new moon to limit light pollution, a cloudless sky, a landscape with wide enough terrain, and a couple willing to spend time making this image at the end of their wedding day, when they’ve been having drinks, are exhausted, and probably have other things they’d rather be doing. After finding the location, several hundred yards walk from the venue, a tripod was set up with legs extended flat to get as close to the ground as possible. 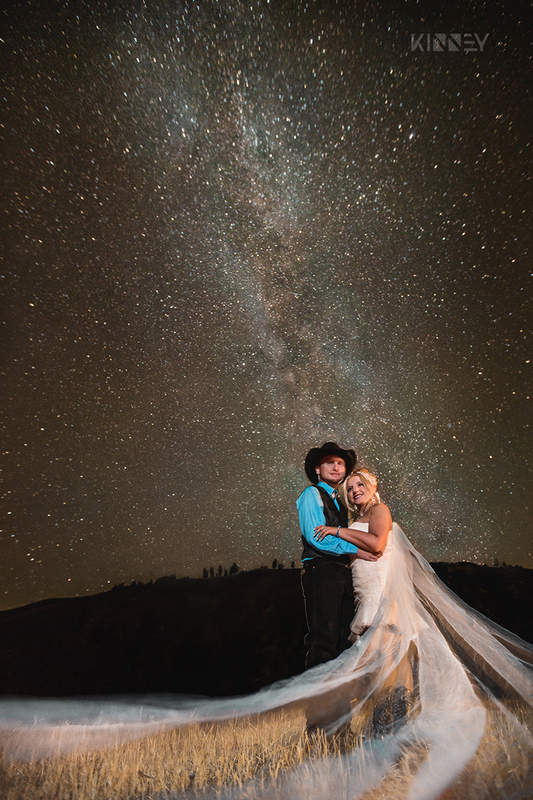 Once the milky way background was dialed in with a 30 second exposure at f/2.8 ISO 1600, a bridal party member stood in for the bride and groom to get two flash units dialed in—one as a backlight, one for front light camera left. “I’d have to say that making the decision to mostly leave behind the Bollywood wedding side of my business to jump head first into the world of portraiture is the biggest risk I’ve made in my career to date. I had an extremely successful run with Bollywood weddings and was commanding top dollar for high-end affairs. That lifestyle was extremely fast paced and busy and I was able to just photograph whatever was happening. Stepping into the world of portraiture, I knew I would have to really set myself apart quickly in order to make a lasting impression. So, I began photographing pregnant women and doing things with them that other people hadn’t done before. Not having an event and a fast paced timeline made me fear I would grow bored with portraits but as I continue to push the boundaries of what a maternity photography can be, I find myself feeling even more rewarded at times. How will you be stepping out of your comfort zone this year? Whether it’s for your business or merely trying a new creative technique, I hope you’re getting up off the couch and taking a leap into that grey area. The rewards will be great, even if you fail. Love this article, what a great collection of inspirational stories – and reminders for us all. 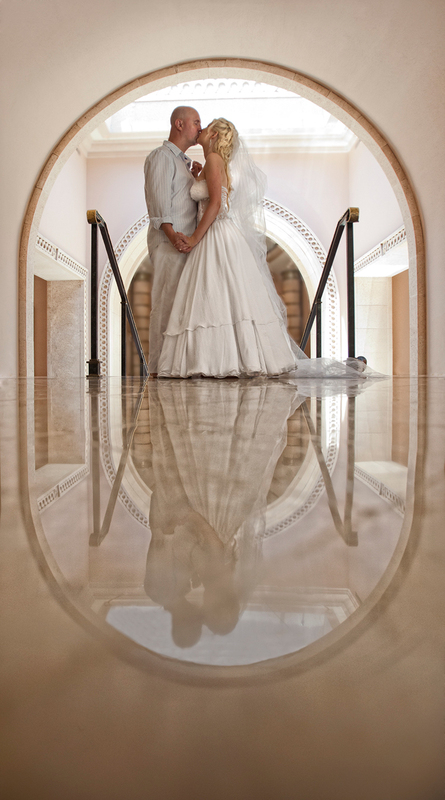 Thanks, Tanya, and to the photographers you featured!